Balasticman: Now what to do with Egypt? Do not settle for the least bad. The United States for far too long tolerated the ineptitude of the Nasserist military state model, something it is at risk of doing again as the deep state battles to reassert itself in Egypt. Conversely, Obama prematurely reached out to the Muslim Brotherhood, calculating that it beat the chaotic alternatives. While the non-Islamist movements indeed have been fickle and done little to distinguish themselves, there is nothing inevitable about the ascendancy of Islamists, nor is a bloated and corrupt military state the only available alternative to them. Capable reformists who are neither wild-eyed idealists nor self-interested opportunists exist and must be supported. Egypt is not unique. 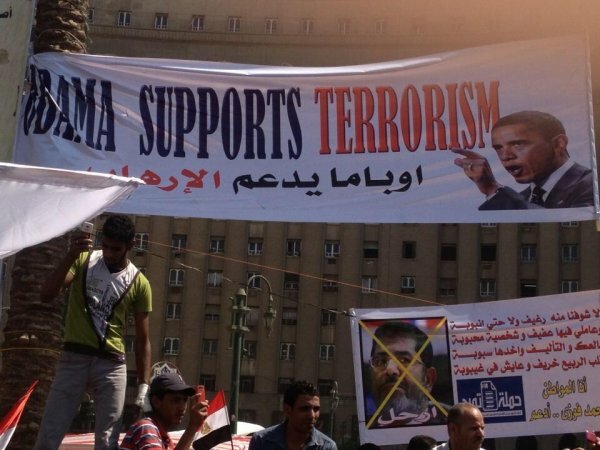 The United States must treat Egypt for what it is, not what it is imagined to be. Egypt is a developing nation with massively underutilized potential in its eight-five million inhabitants, rich farmlands and favorable geography. Egypt is not a history book, religion or military force. The simplification of Egypt as leader of the "Arab World", center of the "Islamic World" or a land mass bordering the State of Israel, has been at the core of many of the miscues in U.S. policy. Trade not aid. The Egyptian economy is in dire need of radical reform. The United States can most influence this by facilitating access to its markets and capital. Whatever the outcome of the current debate about what to do in the short term with U.S. aid, where there should be no debate is in backing the long-stalled IMF loan to Egypt. That loan is not a gift, but a disciplining force that will accelerate sustainable changes to the economy, state and society at large. None of these elements are particularly profound, nor will acting upon them necessarily produce any immediate gains. U.S. policy will be subject to inevitable attacks from Egypt's dim intelligentsia and other threatened interest groups, but through patient, persistent and consistent engagement, the America can be a decisive force for good for Egypt and its unsettled people.